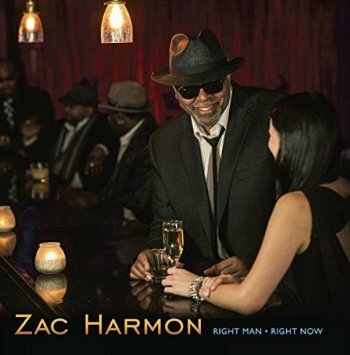 Zac Harmon is an award-winning guitarist, organist, singer, and songwriter whose distinctive style combines the best of old-school soul-blues artist with modern lyrics and themes that bring the blues into a new century. Right Man, Right Now is contemporary music that proves just how alive and relevant the blues is today. Harmon is one of the blues’ strongest live performers, thrilling fans everywhere from Memphis to Mumbai. With Right Man, Right Now he finally brings that excitement to a brand new CD, his bluesiest ever. Addressing issues straight from today’s headlines, Zac presents them in a fresh original style built on the best blues tradition. And he has some incredibly talented musicians helping him – guests include Bobby Rush, Lucky Peterson, Anson Funderburgh and Mike Finnegan.